Looking for new music? 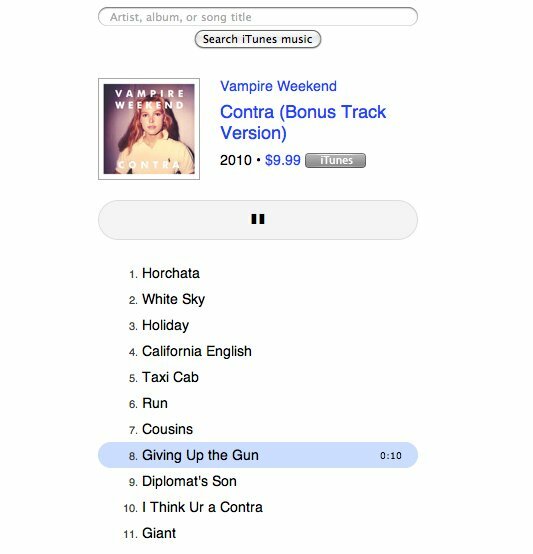 Check out Preview.fm, a lightning-quick, minimal iTunes Store album browser. It has song samples and buy links. Only works in Safari and Chrome. Did we say it’s fast?